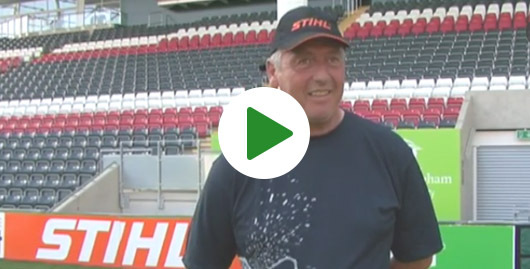 Click here to see what Steve Packwood had to say about the new pitch. Eclipse Natural Turf is a popular choice in stadiums all over the world and has been used for the 2000 Olympic Games and the 2003 and 2011 Rugby World Cups. Eclipse has also been a great success at Brentford FC and The Grove Hotel in the UK, both providing fantastic playing surfaces. Eclipse is 100% natural grass, grown in a unique patented stabilised mat which is perfect for the aesthetic and athletic demands of today’s sports pitch market . Eclipse pitches offer a 100% natural grass playing surface which meets all the governing body regulations and is maintained exactly as per a traditional turf surface. Eclipse offers the ability to rapidly add and change logos as well as easy replacement of worn out areas. The stabilised matting means that the pitch has dramatically increased wear tolerance with a decreased incidence of divoting and ‘in-play’ damage. The Eclipse Turf is instantly stable and ready for play, in fact Leicester Tigers played on it 8 days after installation and beat the Ospreys 42-38. 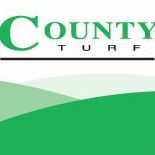 Click here to find out more about Eclipse Stabilised natural turf.